There is not one single factor that can be pinpointed as the cause of depression. Thyroid conditions can cause mental depression. Female hormone imbalance can cause mental depression. Grief and loss can cause mental depression. Medication, chronic pain, genetics, gender and possibly viral infections can cause depression. Some studies indicate that environmental factors like poverty or abuse, contribute to the cause of depression. Living with a depressed family member or an ill parent can also predispose a person to depression. Although the cause of depression varies greatly from one person to the next, most people with depression have something in common low levels of the neurotransmitter serotonin. 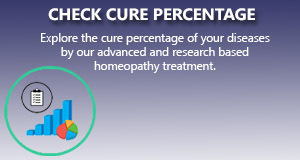 Homeopathy remedies have a very good cure rate in chronic depression condition. As homeopathy takes the totality of symptoms thus helpful to cure the depression condition of any person.